Delta smelt (Hypomesus transpacificus), an annual fish endemic to the San Francisco Estuary (SFE), is imperiled. One recovery strategy is to restore tidal wetlands, thereby increasing productivity and prey abundance. However, the link between tidal wetlands and foraging of delta smelt is not yet established. Using GIS, we quantified the area of tidal wetlands (km2) within a 2-km radius around sampling stations from which 1380 delta smelt were collected over 4 years (2011–2015). We quantified stomach fullness, a metric of foraging success, for each fish and regressed it against tidal wetland area, turbidity, water temperature, and other factors known to influence foraging success of delta smelt. Stomach fullness increased with both increasing tidal wetland area and increasing water temperature and was reduced at turbidities > 80 NTU. Model estimates show that stomach fullness increased twofold from the minimum (0 km2) to the maximum (4.89 km2) tidal wetland area. Of this increase, 60% was due to increased predation on larval fish, while 40% was due to increased predation on zooplankton. Delta smelt collected from areas with the highest tidal wetland area were six times more likely to have a larval fish in their guts than those collected from areas with the lowest. Thus, tidal wetland appears to confer substantial benefits to the foraging success of delta smelt, mainly via increased predation on larval fish. The online version of this article ( https://doi.org/10.1007/s12237-019-00521-5) contains supplementary material, which is available to authorized users. We are grateful to the many people who contributed to this study, including CDFW boat crews, UCD AHP dissection teams, and the Interagency Ecological Program. We thank Randy Baxter for facilitating the Diet and Condition Study, Tricia Bippus for leading the CDFW Fish Diet Lab, and Sally Skelton for processing zooplankton samples. We also thank Ted Sommer, Andrew Shultz, and an anonymous reviewer for comments that greatly improved the paper. Partial funding for this study was provided by US Bureau of Reclamation R17AC00129, US Geological Survey G15AS00018, and CDFW Ecosystem Restoration Program E1183004. California Natural Resource Agency. 2017. Delta Smelt resiliency strategy. Progress update. [Internet]. [accessed 2017 Jul 17]; Available from: http://resources.ca.gov/docs/Delta-Smelt-ResiliencyStrategy-Update.pdf. Accessed 17 July 2017. Cloern, J.E., and A.D. Jassby. 2012. 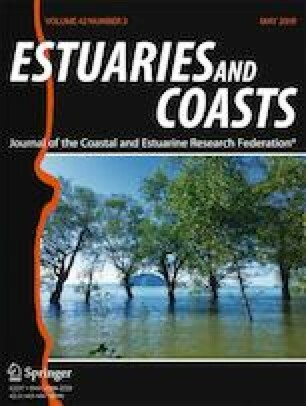 Drivers of change in estuarine-coastal ecosystems: Discoveries from four decades of study in San Francisco Bay. Reviews of Geophysics 50 (4): RG4001. https://doi.org/10.1029/2012RG000397. Hasenbein, M., N.A. Fangue, J. Geist, L.M. Komoroske, J. Truong, R. McPherson, and R.E. Connon. 2016. Assessments at multiple levels of biological organization allow for an integrative determination of physiological tolerances to turbidity in an endangered fish species. Conservation Physiology 4 (1): cow004. https://doi.org/10.1093/conphys/cow004. R Core Team. R: A language and environment for statistical computing. version 3.0.2. R Foundation for Statistical Computing, Vienna, Austria. http://www.R-project.org/.